A six-week long summer camp for slum children in Bhubaneswar shows that structured sporting activity doesn’t have to stop when the school year breaks. In the midst of a blisteringly hot summer in Bhubaneswar, Odisha, Pro Sport Development (PSD) is conducting a Summer Camp for school children as part of its Community Sports Program (CSP), supported by Tata Trusts, to emphasise the benefits of engaging in sporting activity all year round. The Summer Camp is being conducted over a period of seven weeks, having commenced on 7 May 2018, and ending with a Football Camp in the last two weeks, followed by a Football Tournament, supported by the Fare Network, on 23 June 2018. Over the course of the first six weeks, the children will be taught the basics of volleyball, netball and football, with each sport taught over a period of two weeks. The children receive two sessions per week on the respective sports by PSD’s coaches, while the Football Camp activities will be led by an expert with AIFF D License. The Summer Camp is an extension of the CSP, designed to aid the holistic development of children from underprivileged and marginalised backgrounds through a specially-designed sporting curriculum aimed at teaching soft skills, increasing the children's self-esteem and confidence, and boosting their academic learning. Six schools located in various slums of Bhubaneswar are hosting the summer camp sessions. These schools include Satya Sai School, Saraswati Sishu Mandir, Vivekananda Siksha Kendra, Binabharati Vidya Mandir, Saraswati Sishu Vidya Mandir, and Vivekananda Siksha Kendra (PP). The camp utilises the football, netball and volleyball infrastructure that PSD installed at these schools over the past year for the CSP. Despite the sessions being rigorous, the children have immensely enjoyed this change from their regular academic workload. “Earlier we used to play for only one day in the week, but now we are getting to play and enjoy almost every day”, says Baisakhi Swain, a Class 5 girl from Satya Sai School. 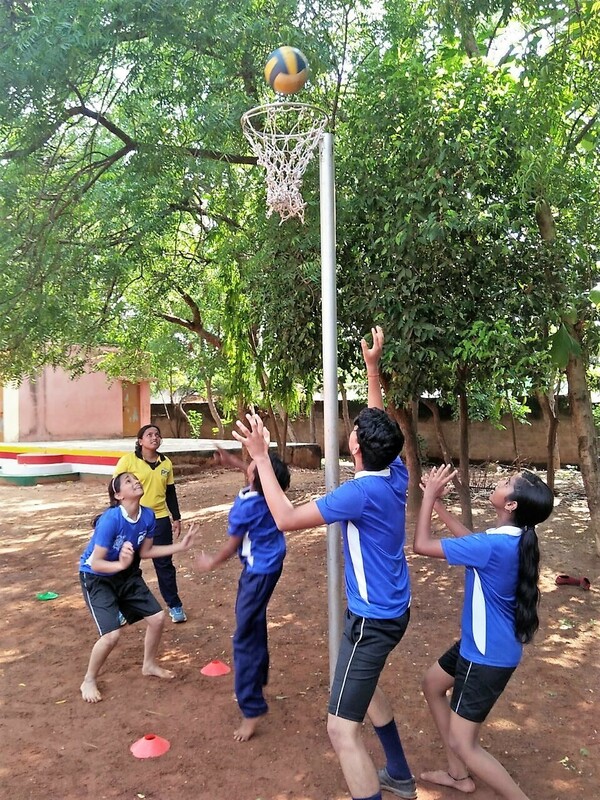 The sessions have also allowed the children to learn sports skills in a structured manner, such as Khadifa Moin, a Class 6 girl from Vivekananda Shiksha Kendra, who said: “We are learning about volleyball. This is completely new to us, and I’ve started loving this game”. The camp will conclude with a Football Tournament, which will be supported by the Fare Network, on 23 June 2018. The tournament will see teams from the various schools first compete in a qualifying competition within their school itself, after which the final competition will be held in Saraswati Shisu Vidya Mandira.